If you have a tendency of taking an iTunes backup, you must have tried restoring it a lot of times too. Have you ever encountered a situation where in the iPhone failed to restore iTunes backup because the backup session failed? This is an extremely frustrating issue and in this article we will show you how to deal with it. Part 1. What makes it happen? Let us first see the possible reasons as to why the iTunes backup session fails. It can happen when there is a problem with the previous backup of your Apple device. Mostly, iTunes ends up updating the backups which exists and this could lead to the possible trouble. Now that we know the cause, let us fix our attention to the diagnosis. If you see the message “iTunes could not backup/restore the iPhone because the backup was corrupt or not compatible with the iPhone/iPad”, you need to then delete the backup file and create a new backup. Let us see the steps. Now, tap on ‘Devices’ and then you will be able to see list of the backup files which you have created. 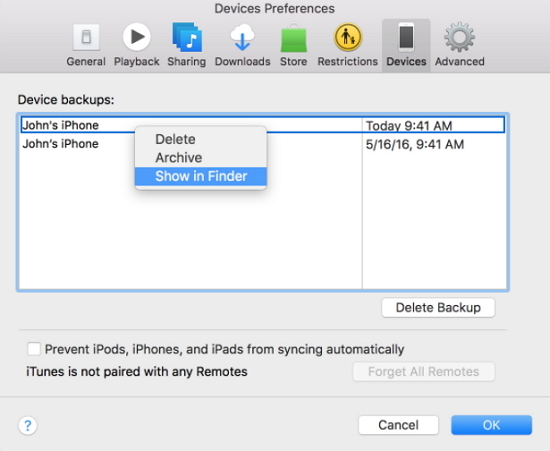 Now, connect your iPhone to the computer, create a new backup and restore from the new iTunes backup again. It helps in separately backing up and restoring the files without data loss. 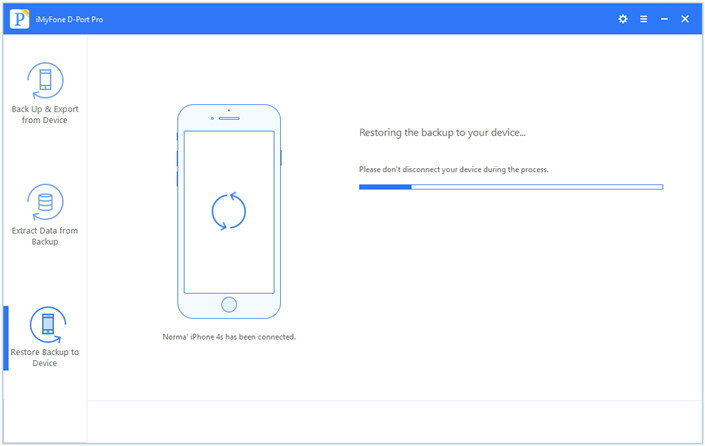 Before the restoring process, you can preview the backup files in detail for free. 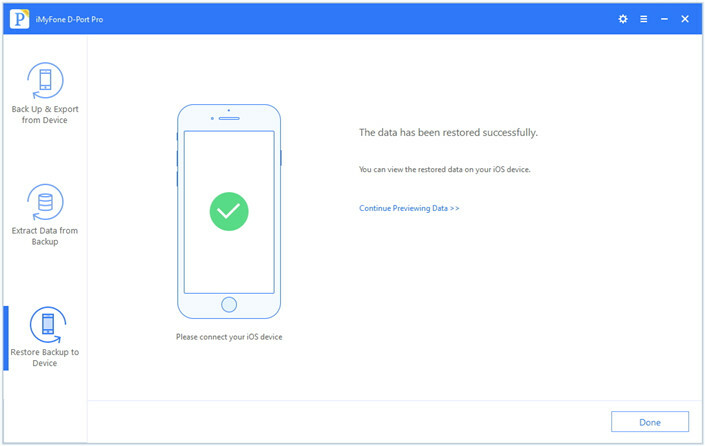 It can also be used to extract up to 20 types of data from iOS device or from iTunes/iCloud backup to computer. Step 1. 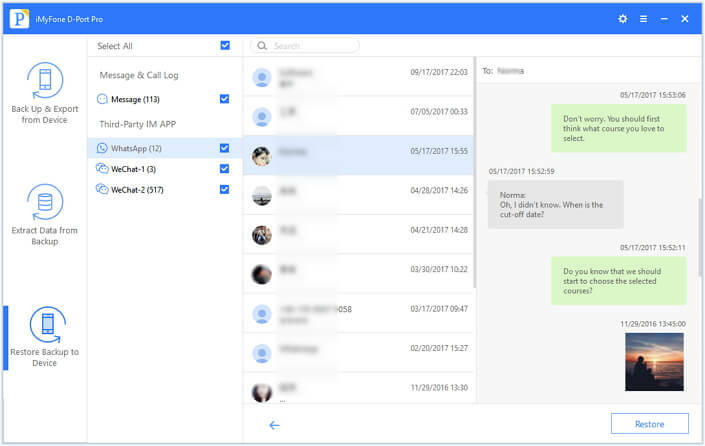 Download iMyFone D-Port Pro on your system and install it. Step 2. When you run the program, you need to choose ‘Restore full backup’. If your device is not connected to the program, you will be prompted to do so. Step 3. The program will confirm if you want to restore the full backup as this will overwrite the existing content. Click on ‘Restore’ to start this process. Step 4. It will take some time and when the process is done, you can then view the content on your device. 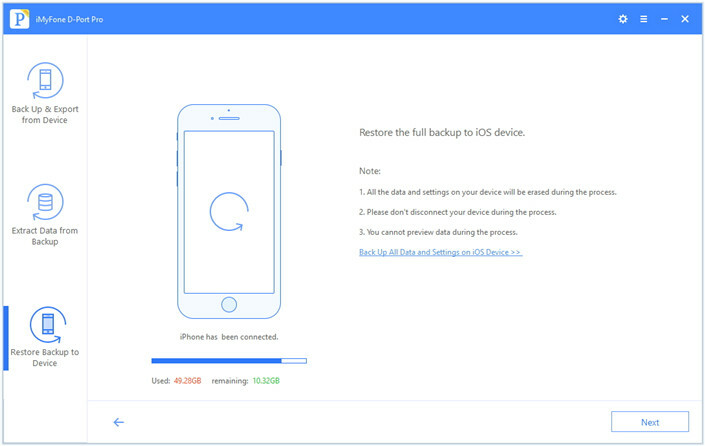 When you want to restore an iCloud backup using this tool, here are the steps. Step 1. 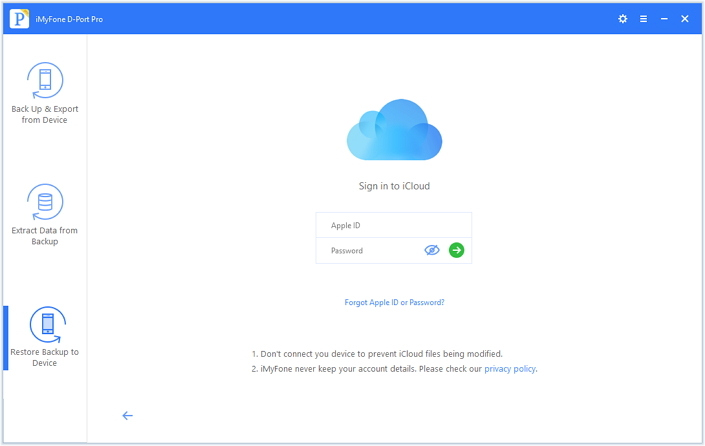 Download iMyFone D-Port Pro on your system and install it, connect your device to the same system. Now, click on ‘Restore back to device’. Choose the iCloud backup from which you want to restore. Step 2. 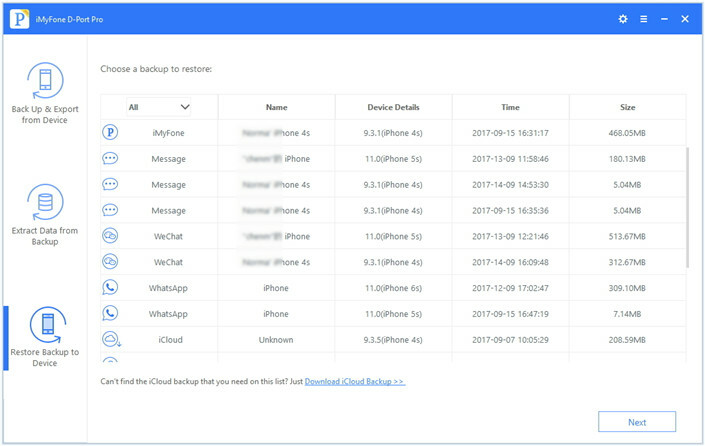 If the backup file is not present in the list, you can login to your iCloud account and you will find the details of the different iCloud backup files. Step 3. Choose the one you want to restore and click ‘Next’ to download the backup file and then scan the data present in the backup. When the backup has been downloaded and scanned, the details will be there for you to preview. Step 4. 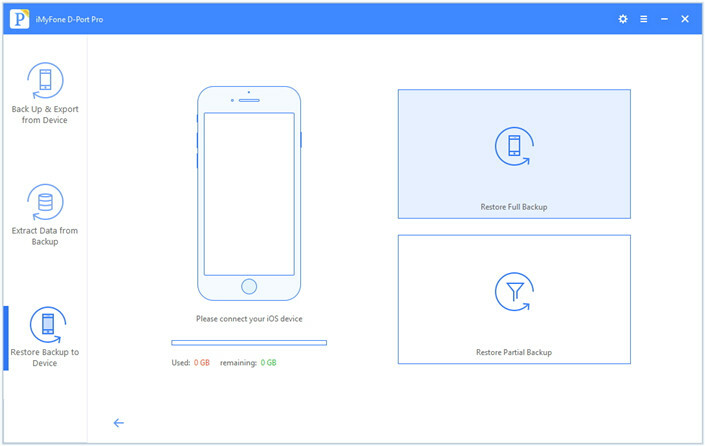 After the preview, click on ‘Restore’ and the iCloud backup files will be transferred to your device. Head to ‘Settings’ and then ‘General’. Now tap on ‘Reset’ and then ‘Erase all content and settings’. 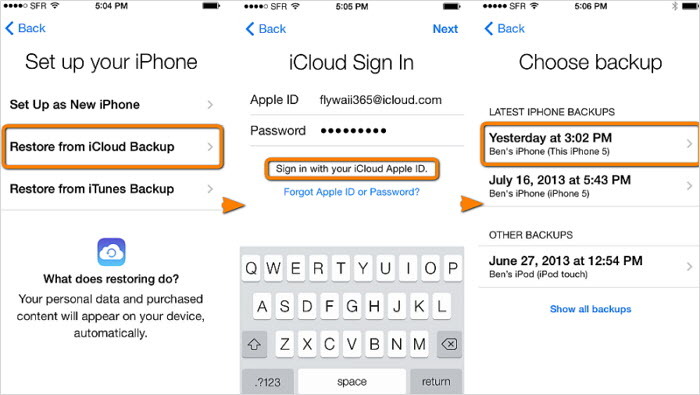 This is important before you tend to restore your iPhone from iCloud. Now, turn the phone on again after the settings have been reset to default. Follow the onscreen steps until you see ‘Apps and data’ screen. Though this is the official method, a lot of people prefer iMyFone because it helps you in retaining your existing content. Also, the tool is remarkably easy to use. So, the next time you run into an iTunes backup problem, you know what to do.